BOH BOH BOH!!!!!! Special ED coming at ya with the new Joker Records remix Project on ASBO Records. 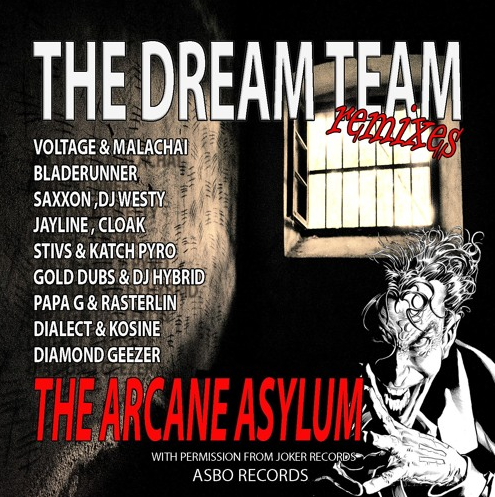 On this dope album you find remixes of The Dream Team from Voltage & Malachai, Papa G & Rassterlin, Cloak as well as unreleased dub from ’96 by The Dream Team aka Bizzy B. & Pugwash. First up we have “Sweetie”, Voltage and Malachai remix. A modern spin on a classic Dream Team tune. Everything about this tune screams “REWIND”. The fantastically chopped up amens, the big bouncy bass and the vocal samples grab you by the balls and don’t let go. REWIND!!!!!! Next we have “Silver Fox” remixed by Papa G & Rassterlin. The intro to this tune sets the pace. The vocal sample “Who are you anyway? I am the Silver Fox” lets you know business is about to be done! Boom!! The tune hits you hard in the chest and the next thing you know you are dancing like a bell end! Straight forward goodness. Then we move right into “Menace” remixed by Cloak. Right from the start the tune means business. The west coast hip hop vibe intro grabs your attention, then the smashing drums and deep bass throw you into a frenzy. This tune does not let you stand still for a second. “The Godfather” by The Dream Team (Original Unreleased 96 Dub). OH GOSH!!! Listen and let the goosebumps tell you that this is a dancefloor killah! Amems, storming bass, steel drums this tune will break your brain. It is absolutely relentless. Special ED has been DJing Jungle and D&B since 1996, influenced heavily by the Ragga and Jump-Up styles of the time. 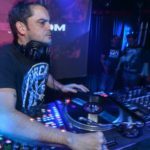 Special ED has played alongside some of the VIP Drum n’ Bass - Jungle DJ's, producers and MC's, such as Spectrasoul, DJ SS, Remarc, Dieselboy, AK1200, General Malice. Nickey Blackmarket, Mikey Finn, Aphrodite, Artificial Intelligence, Slip & Slide, Marcus Visionary, Lush, John B, A Sides, Mathematics, Sigma, Ed Rush & Optical, Capital J, Eskman, L-Natural and Caddy Cad to mention a few. As of recent Special ED has joined FLEX Recordings as an artist and Radio Press Officer.